We enhance the quality of Medical Education through our range of Continuing Professional Development courses - providing high-quality educational development opportunities to a global community of medical educators. The CPD team supporting our educators are Dr Caitriona Dennis, Educational Staff Development Manager and Mrs Havita Mandande, Educational Staff Development Coordinator. We aim to achieve this through scholarship, innovation and working in partnership with colleagues who share our vision of ‘excellence through scholarship’ in Medical Education. We provide a range of provision including face-to-face workshops, conferences, E-learning courses and opportunities for shared learning through the creation of facilitated networks of medical education practitioners and specialists. Opportunities to all involved in teaching and training on the MBChB curriculum and those with an interest in education can attend various workshops, courses and training events which support teaching, supervising or tutoring. These may be organised by LIME or other institutes within the School of Medicine. There are several ways to get more involved in teaching within the MBChB. Please look at the opportunities available in our MBChB booklet. The CPD team hold a secure volunteer list. Opportunities to teach/mark/supervise within the MBChB and Physicians Associate programme are emailed to this list. If you would like to be on this mailing list, please email Dr Caitriona Dennis. 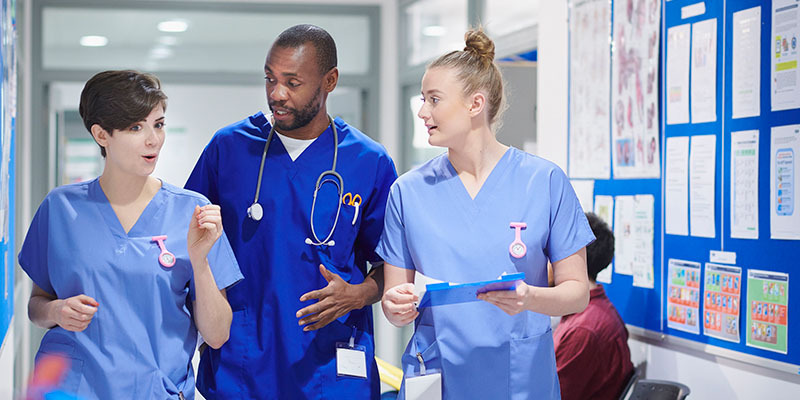 The Leeds Institute of Medical Education offers a range of Free CPD activities centring on student learning, assessment in medical education, technology enhanced learning and pastoral and academic support for students. Everyone who teaches or has an interest in developing teaching skills are welcome to attend. The full LIME CPD 2018-19 programme can be downloaded from our website or you can go directly to our online booking form. Peer Observation, participant-led, limited spaces. Small Group Teaching, a fundamental teaching technique for medical educators. Large Group Teaching, effective lecturing and enhanced presentation skills. Limited spaces. Supporting Medical Educators Skills' Day, an annual event focusing on teaching skills. Teaching the Physicians Associates, introducing the new healthcare role and the teaching approach by University of Leeds. Junior Doctors as Teachers, a workshop focused on the role of junior doctors in everyday teaching. Interprofessional Education, creating an interprofessional workplace learning environment - how to enhance and innovate. Annual Clinical Teachers Day, an event celebrating the teaching within the MBChB. Technology in the MBChB. An introduction to the technologies and mobile apps used within the medical degree. Delegates will be able to expand and develop their ideas involving technology-enhanced learning. Virtual reality - an Educational Platform. Demonstrating the newest technologies which can be incorporated into your teaching. TiMEToTeach. This workshop will address issues surrounding teaching in the MBChB and Diploma in PA studies. It will provide insights into the curricula and online assessments used by students. Nudges and feedback. Tips to formatively assess students and provide feedback during workplace based assessments. Innovation in Clinical Teaching. Tips and Tricks from successful clinical teachers. Making time for teaching. Methods and ideas to provide teaching opportunities within a busy schedule. Teaching on the Ward and in the Clinic. How to provide an excellent student experience and develop your teaching skills. Teaching using Simulation. How to effectively use simulation techniques to enhance teaching. Sustainability. Future-proofing your teaching with regards to sustainability. Threshold Concepts. Identifying difficult areas of learning in our field and adopting different teaching techniques to support the learner. OSCE Writing Theory behind OSCEs and working towards devising new OSCE stations. OSCE Examiner Training Outlining the roles of examiners and how to mark stations. Student support, for information on how to support students with their learning and pathway to becoming a doctor. Student Support Conference Bringing together experts in developmental student support in health professional education. Careers guidance - making medical careers accessible and developing skills and practices for career guidance. Mentoring Network. This network focuses on supporting newly qualified doctors with their teaching. There are various workshops throughout the year for mentoring support. LITE BITES are a selection of 10 minute e-learning packages designed to provide an overview of teaching related subjects. The courses are suitable for clinicians teaching students and clinical educators working in the NHS. OSCE Examiner Training Refresher course is available here. If you wish to examine at this year's exams you may want to refresh your training. Please use our online course and any enquiries please email the CPD team. Student Support - if you are a tutor or personal tutor or if you have teaching responsibilities, online resources are available to download specifically focused on Student Support. Our colleagues have published an AMEE guide for student support in medical undergraduate education, with free access. The Organisational Development and Professional Learning (ODPL) at the University of Leeds have online resources for learning and teaching as well as information and guidance about working and standards at the University. Leeds Institute of Medical Education has developed a network of medical education mentors to provide junior doctors, or doctors just beginning to undertake teaching responsibilities in West Yorkshire with support for their teaching activities. An initial mentorship training will be provided, and two further face to face sessions will be offered throughout the year. The purpose of these sessions will be to explore typical issues that arise in mentoring situations as well additional content identified as being of use by the mentors themselves.